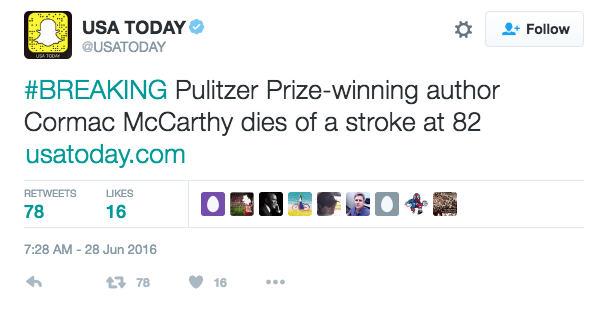 Cormac McCarthy, author of such utopian sci-fi novels as The Road, didn’t die today at 82 from a stroke. 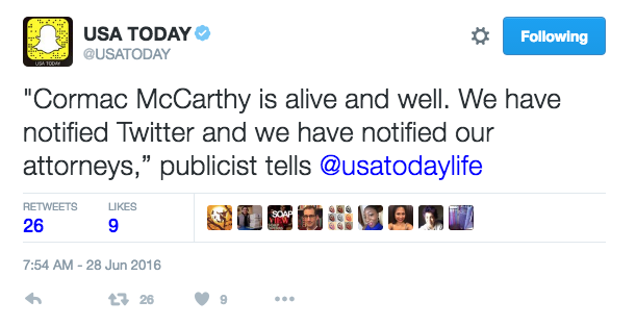 But that didn’t stop the death hoax rumoirs from getting tweeted out by respected news outlets like USA Today. The rumours started with a tweet by Italian journalist Tommasso Debenedetti, a man who Business Insider has described as “shadowy”, given his efforts to affect global markets with his tweets. From there the rumour took on a life of its own. 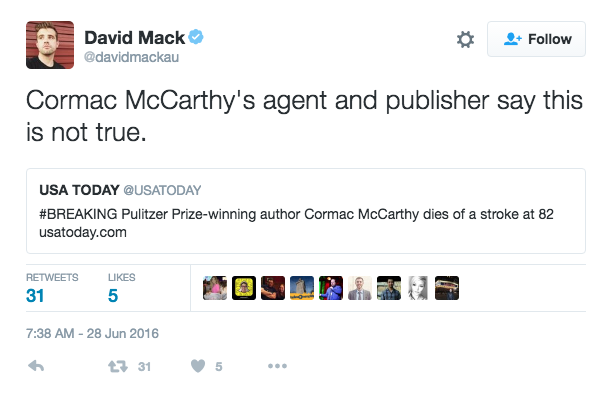 David Mack, an editor at BuzzFeed reports that McCarthy’s agent and publisher both say that the author is alive and well. Just 15 minutes after USA Today’s original tweet, the publication said that it was “looking into the report to verify its authenticity".